Do you want to reduce your alcohol consumption and avoid negative consequences without giving it up completely? Are you turned off by standard abstinence-only approaches like AA? Too often, people who seek help for problem drinking are offered a ‘take it or leave it’ choice of total abstinence or nothing. The Washton Group takes a different approach. We recognize that with professional guidance and support many problem drinkers can learn how to moderate their alcohol consumption within safer limits rather than give up drinking completely and forever. Our clinical experience supported by decades of scientific research indicates that a professionally-guided attempt at moderation can be a very effective way for problem drinkers to find out whether moderate drinking is realistic and attainable or if abstinence is a better choice. 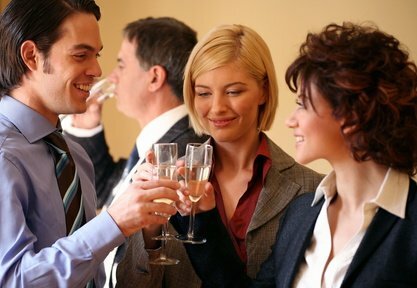 This program incorporates a variety of research-based motivational and cognitive-behavioral techniques to help you achieve your goal of moderate drinking. The skills you learn will include setting drinking limits for yourself that you can stick to, finding ways to cope with emotional distress other than drinking, and monitoring your alcohol consumption in real time so you can reliably stop drinking before you lose your “off switch” and end up drinking far more than you intend to. You will benefit from the extensive professional experience and clinical wisdom of Dr. Arnold Washton, a specialist in treating alcohol and substance abuse since 1975. The only one of its kind in the Princeton area, our Moderate Drinking Program offers a science-based alternative to standard abstinence-only approaches. The program is available in two formats: (1) You can attend a weekly Alcohol Moderation Group led by Dr. Washton, and/or; (2) You can schedule individual sessions with Dr. Washton. To make an appointment with Dr. Washton, find out if our Alcohol Moderation Program is a good fit for you, and/or obtain more information about our other private treatment services, please call us directly at (609) 497-0433 or fill out the Contact Form and send it to us. Do you have an additional message or question? Type it in the space provided below. We do not accept insurance, but our statements can be submitted for out-of-network reimbursement.